Posted in: DUI, Media Release. 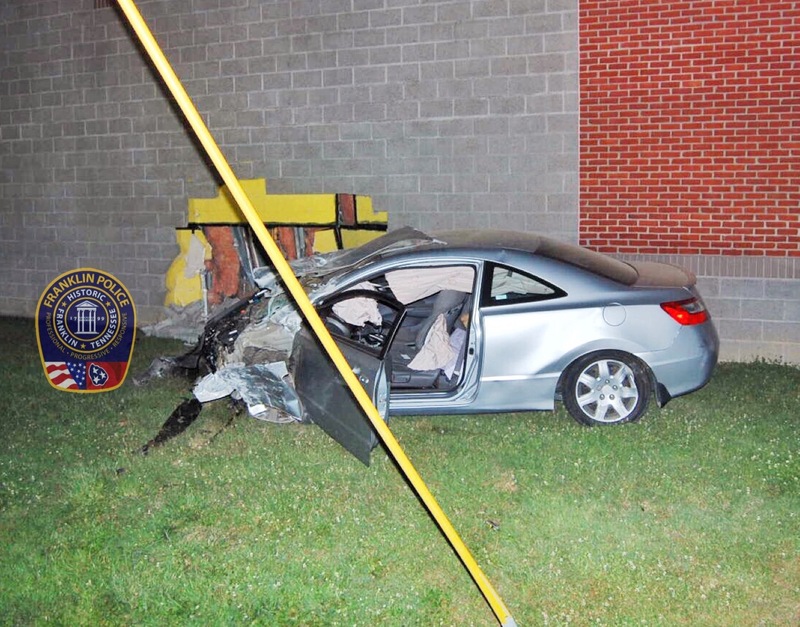 A Franklin teen has been released from the hospital after crashing into the Williamson County Health Department, Saturday night. At 10:55pm, officers were dispatched to 1324 W. Main Street for a report of a vehicle into a building. Arriving officers found the 18-year-old driver unconscious, on the ground. Officers determined that the driver, who was traveling on West Meade Boulevard, left the roadway, drove down the sidewalk, and over a row of mailboxes before crashing into the building. Damage to the Health Department was significant. Officers report that alcohol was a factor, and charges are forthcoming.